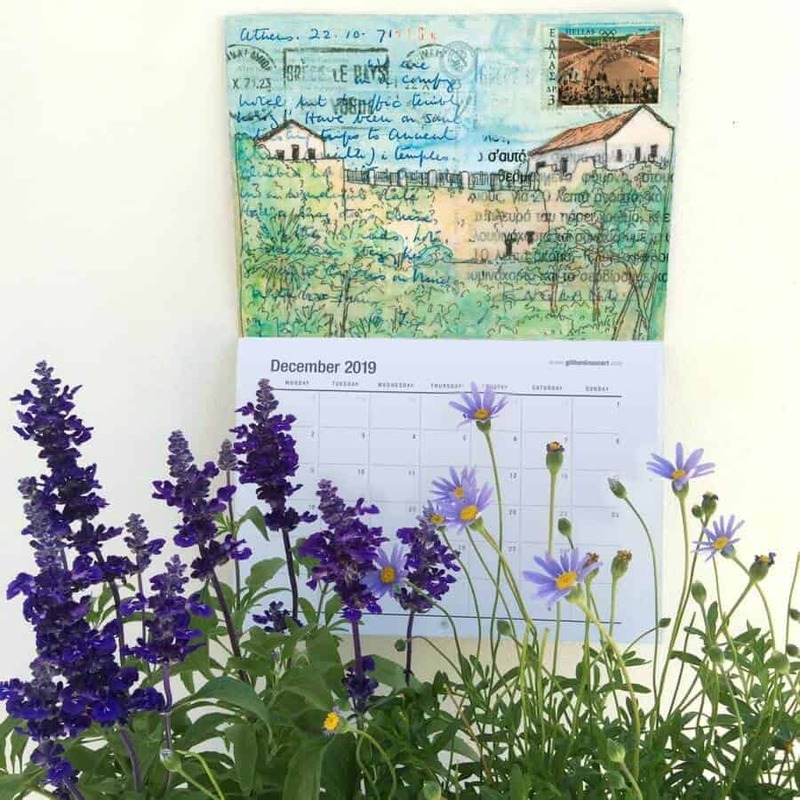 Pre-Order your 2019 Calendars Now! Exciting News! 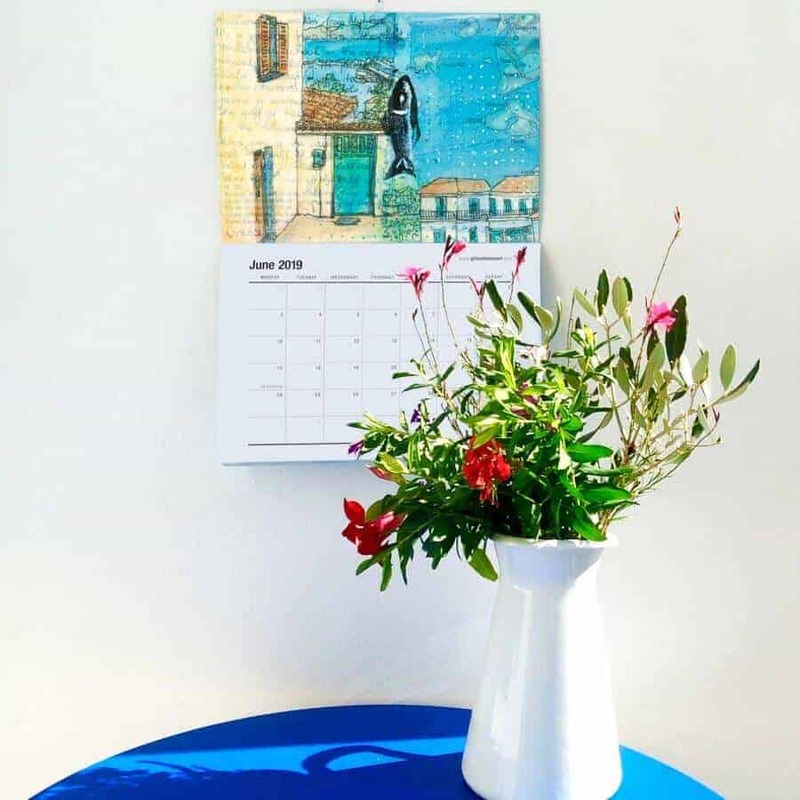 The 2019 Art Calendars are currently being printed! We expect to have them ready to mail out by the end of September, so we are taking pre-orders NOW! 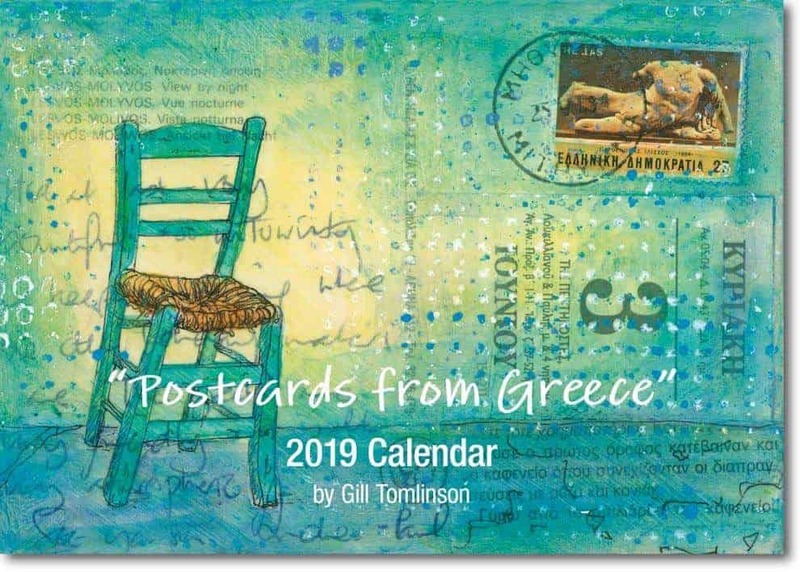 This year’s Calendar is ‘Postcards from Greece’ – featuring twelve brand new postcard-paintings created on vintage postcards from Greece (plus one on the cover). As previously, it’s a limited-edition print run so early ordering is advised. We can and do ship anywhere! Wherever you are in the world, we can ship you 2 Calendars for the same postage rate as for 1, so bear that in mind when ordering! One for you… plus a gift for a friend!